Anna Maria Island and Cortez businesses and nonprofits raised more than $15,000 for federal employees affected by the partial government shutdown. 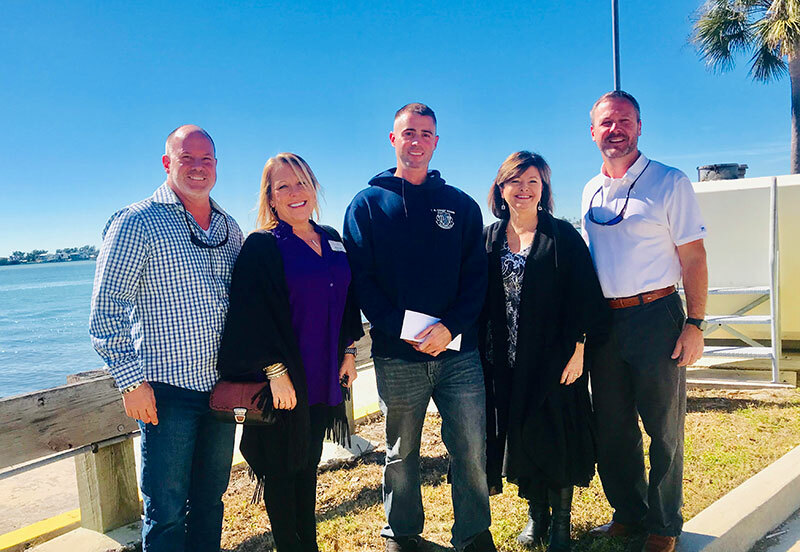 U.S. Coast Guard Chief Zachary Gray said Jan. 25 he accepted $40,000 at the USCG station Cortez on behalf of the nonprofit Sun Coast Chief Petty Officers Association. The cash, checks, gift cards and other donations Gray received the week of Jan. 21 — in addition to more than $100,000 received by the regional association — were being distributed according to need to 1,600 Coast Guard members between Yankeetown and Fort Myers Beach by the association, he said. On Jan. 25, President Donald Trump announced a temporary end to the shutdown and signed a funding bill to keep the federal government running until Feb. 15. A week earlier he signed the Government Employee Fair Treatment Act of 2019, providing back pay to federal employees for lost wages, work performed or leave used during the shutdown that began Dec. 22. 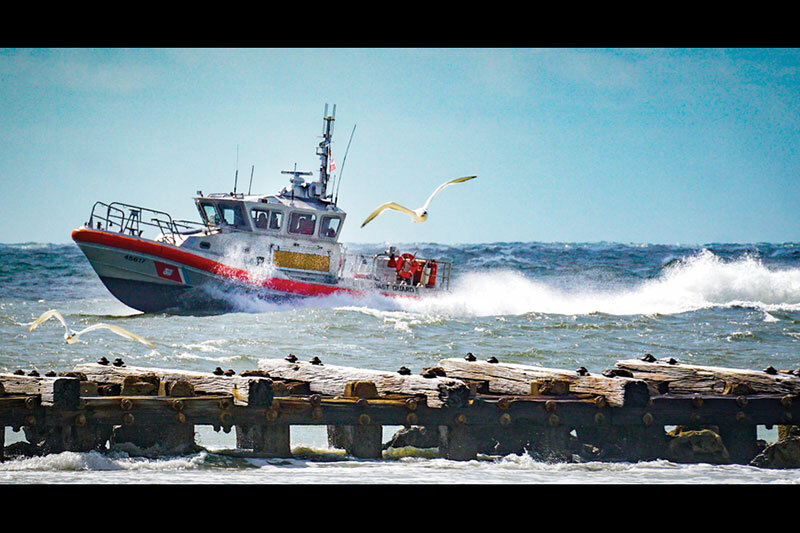 Back pay for Coast Guard employees is expected by Feb. 1. The Cortez station employs 35 enlisted officers, who mostly reside in Bradenton and Parrish, though some live on the base, Gray said. To help make ends meet during the shutdown, Barry Grooms collected more than $10,000 for the U.S. Coast Guard and delivered a $7,800 check and $400-$500 in gift cards Jan. 21 to Gray. “We hit our goal,” said Grooms, who grew up on Anna Maria Island and owns SaraBay SunCoast Realty in Bradenton, which paid the fees to set up the Facebook fundraiser. He also owns Grooms Motors & Automotive in Holmes Beach. Anna Maria Island Democratic Club president Bill McGrath hand-carried $4,680 in cash and checks, gift cards and supplies to the Cortez station. The contributions came from the Anna Maria Island Democratic Club, Manatee Area Council for Advanced Nursing Practice, Democratic Women’s Club of Manatee County and the New York State United Teachers Retiree Council in Sarasota. A.P. Bell, Star Fish and Tide Tables collected gas, food and other gift cards for the service members. “We’ve been quite busy down here,” said Eric Anglim at the Star Fish market. “It’s quite a good feeling,” he said about the people dropping off the cards and talking about their support for the Coast Guard. During the shutdown, rangers Nathan Souder and Dan Stephens maintained the De Soto National Memorial in northwest Bradenton while the other four staffers were furloughed. The visitors’ center re-opened Jan. 26 and, by Jan. 31, its living history programs, hands-on exhibits and 16th century reenactments were to resume. The De Soto staff are expecting shutdown back pay “in a week or so,” Stephens said. 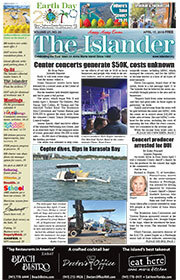 The Coast Guard and rangers at DeSoto Memorial last received a paycheck Jan. 1. Meanwhile, more local assistance — even though the shutdown was lifted for three weeks — is planned for impacted workers. The Cortez Village Historical Society will host a concert and Coast Guard fundraiser at 5 p.m. Saturday, Feb. 2, at the Cortez Cultural Center, 11655 Cortez Road W., Cortez, with hot dogs and s’mores on the menu and performances by Soupy Davis and Carol Alt. CVHS president Kaye Bell invited the community to bring gift and gas cards, baby food and diapers. Bell said Jan. 26 the fundraiser will be held despite the short-term funding order because “some of the guys are so far behind” on their bills that the Coast Guard association will continue to accept donations. With a new fire pit and pavilion at the cultural center, Kaye said the group was planning monthly gatherings and the first event became a fundraiser when she heard about the Coast Guard’s needs. “A lot of younger families are living from paycheck to paycheck,” Bell said. GOODd work on the Coast Guard article, Ms. Prucnell. Minor detail: I’m the former prez of the AMI Dem Club.